The blog for Coffee & Brunch Lovers with healthy recipes, curiosities about coffee and brunch review in Barcelona and around the world. Ever since I first started this blog people have been asking me which are the 10 most enchanting cafes in Barcelona, and how do you choose between so many? Finally, thanks to social networking, I came across Monica Barbosa’s blog De Cafe por Barcelona which specialises, as its name suggests, in cafes around the city. So I thought, what better way to answer this question than to ask an expert who is, incidentally, also a very good photographer? 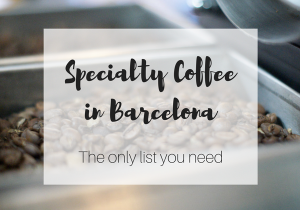 “Barcelona is, happily, a city with many enchanting cafes, but I think you’ll agree that the 10 selected here are very special indeed. NOTE: La Marmota has closed down. At the same address you will find another cafe called Itacate. The charm of this place is in its simplicity and warmth, perfect for meeting friends, for impromptu English lessons etc. They also offer natural fruit juices and delicious sandwiches. The bread and the cakes are all made with organic produce. This cafe is perfect for cycling enthusiasts. Cycling is a constant theme throughout the decoration, which makes it a unique and enchanting place. As well as its attractive presentation, there you can enjoy home-made cakes, good milkshakes and fruit juices. If you like the atmosphere of a parisian cafe, this is just the place for you to go and grab a coffee. The decor and music turn the cafe into a beautiful place to have breakfast, as well as watching people passing by and enjoying the view of Casa Punxes. In a charming neighbourhood, a charming place where you can try the best tiramisu in the city (in my opinion). A cafe and artisan cake shop which is ideal for savouring mediterranean cuisine, the tastes of Italian cooking and good coffee – preferably an espresso, short and with intense flavour. To have coffee in one of the best-known buildings of the modernist style is a true luxury, and there’s no need to say much else. However, you ought to know that in this cafe you’ll find good service and wonderful views – of both La Pedrera and the Paseo de Gracia. Although this cafe is part of a Belgian chain, its location in a historic bookshop, which occupied the spot between 1956 and 2014 and whose character can still be seen today, makes this cafe-bakery a charming place. [UPDATE] THIS PLACE HAS CLOSE DOWN This cafe transports you to a kind of Alice in Wonderland world. The Cafe d’Alicia is one of those places which is perfect to read peacefully in, and if you haven’t taken a book with you, no problem! You can buy or borrow books from one of the many shelves that make up the cafe. A cafe which is undoubtedly suitable for any time of year, however something which is definitely appreciated in spring and summer is its indoor courtyard, full of light and plants, which provides endless tranquility – not easy in a big city. Thankfully, we do have this place in which to unwind. The charm of this place is in its cheerful atmosphere, its artisan produce and the owners who serve their clients with great attention and courtesy. On top of all that, they do an amazing tarte tatin and savoury pasties, so voila! This really is a charming place. A delicate atmosphere, which feels like it’s taking you back in time. I love the tranquility that you can find there, and the smell of the cakes. Flawless furniture and silverware evoke the “belle epoque”. Delicious cakes from all over the world take you on a journey of flavours and sensations. Great article Claudia! I was just looking for some nice cafés in Barcelona and came across yours which was extremely useful :) Just wanted to let you know that apparently the first one you suggested, La Marmota, has new owners now and it's going to be called Itacate, not sure if it will be good or not! My name is Claudia but people call me "The Brunch Lady". On this space everything is related to it. Recipes, review and recommendation. So nice to have you here! 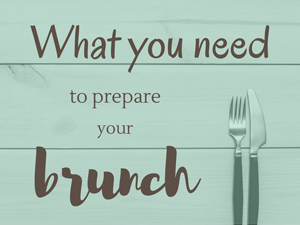 Coffee & Brunch contains affiliate links on the site. If you choose to purchase items, or make a booking through these links, I will earn a small commission at NO extra cost for you. These commissions help to reduce the cost of running this blog and will confirm that you appreciate my efforts. Thanks! Every picture (except the ones where the source is mentioned) is property of this blog. It is forbidden the alteration and/or use for any commercial purpose. You can use the pictures only if you quote the source “Coffee & Brunch” and you link them to this blog. For doubts and permissions, please do not hesitate to contact me. © Coffee & Brunch 2012-2017 - All Rights Reserved.